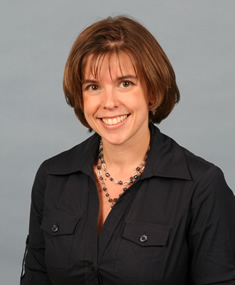 Christine M. Walko, Pharm.D., BCOP, FCCP is a Personalized Medicine Specialist at the DeBartolo Family Personalized Medicine Institute at the H. Lee Moffitt Cancer Center and is also Associate Professor at the University of South Florida Morsani College of Medicine in Tampa, Florida. She is also the Chair of the Clinical Genomics Action Committee (CGAC) and an Attending on the Personalized Medicine Clinical Service at H. Lee Moffitt Cancer Center. Dr. Walko received her Doctor of Pharmacy from Duquesne University in Pittsburgh. She completed a pharmacy practice residency at Virginia Commonwealth University Health System/Medical College of Virginia Hospitals in Richmond, Virginia. She also completed a Hematology/Oncology specialty residency at the University of North Carolina (UNC) Hospitals and Clinics and a Hematology/Oncology fellowship at the University of North Carolina School of Pharmacy in Chapel Hill, North Carolina. She is a board-certified oncology pharmacist. She has researched and published extensively in oncology therapy and has presented nationally and internationally on oncology, pharmacogenomics, and molecular tumor boards.